Explore Westerham, one of the finest locations for active family days out. 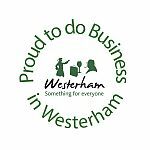 Nestling on the doorstep of some of Kent’s finest countryside, in the heart of the Darent Valley, visit Westerham and your senses will be brought to life. From the historic houses and gardens to the indulgent hostelries; the shimmering greenery of the countryside to the amazing museums – Westerham is the ideal place to stay. When you make Westerham your choice for your UK holiday or break, or even for a well deserved day out, it is all about sheer indulgence. Whether you enjoy educational fun days exploring, or lazy days shopping and wandering around town there’s something in or near Westerham for you.